Beautiful relaxing atmosphere to stay in while in Vernon. 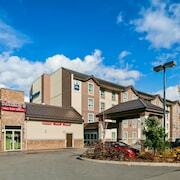 Where to find Lumby hotels near an airport? 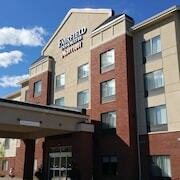 Where can I find hotels in Lumby that are near tourist attractions? Accommodation options are in short supply in Lumby. 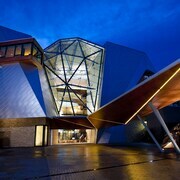 There are, however, 2 short-stay and long-stay accommodation options within a 20-30 minute drive. The The Bulldog Hotel Silver Star, British Columbia, which is the closest accommodation, is 14 kilometres (9 miles) from downtown Lumby. As an alternative, investigate the FireLight Lodge, located in Silver Star Mountain, which is 14 kilometres (9 miles) away. Located 25 kilometres (17 miles) away from the middle of Lumby is the The Maple Bed & Breakfast. The Armstrong Inn is 25 kilometres (17 miles) distance away. Once you have spent time in Lumby, why don't you go a little further afield? 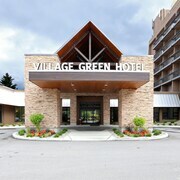 The Thompson Okanagan area has a number of attractions. If you're a nature lover, be sure to explore Thompson Okanagan's rural landscapes, beaches, forests and rivers. You could also spend time at some of the region's old towns. In this part of Canada tourists may enjoy snowboarding. 60 kilometres (36 miles) to the south of Lumby you'll find Big White, where you can explore Ridge Rocket Express and Bullet Express. 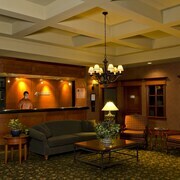 The Stonebridge Lodge and Sundance Resort are just some of the Expedia-recommended lodging options in Big White. 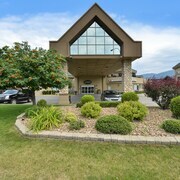 90 kilometres (56 miles) to the southwest of Lumby, you may also choose to stay at Naramata Bench, home to the OK Whistle Stop Bed & Breakfast and Above Naramata Bed & Breakfast. 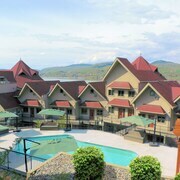 Should you choose to stay in Naramata Bench, be sure to explore the Lake City Casino and Black Widow Winery. If you are really into sports and really like games you could take a trip to Prospera Place, which is 55 kilometres (34 miles) to the southwest of Lumby. Book a hotel close to the action at the The Royal Private Residence Club or the Delta Hotels by Marriott Grand Okanagan Resort. Kelowna International Airport is 45 kilometres (28 miles) from Lumby. 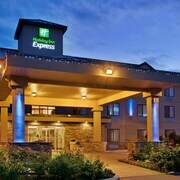 Should you choose to stay nearby, you can easily book a room via Expedia at the Four Points by Sheraton Kelowna Airport or University of British Columbia - UBC Okanagan Campus. What are the most popular Lumby hotels? Are there hotels in other cities near Lumby? What other types of accommodations are available in Lumby? Explore Lumby with Expedia.ca’s Travel Guides to find the best flights, cars, holiday packages and more!